Once your Composr community-based site gets to a certain size you might want to change how your members list is displayed. 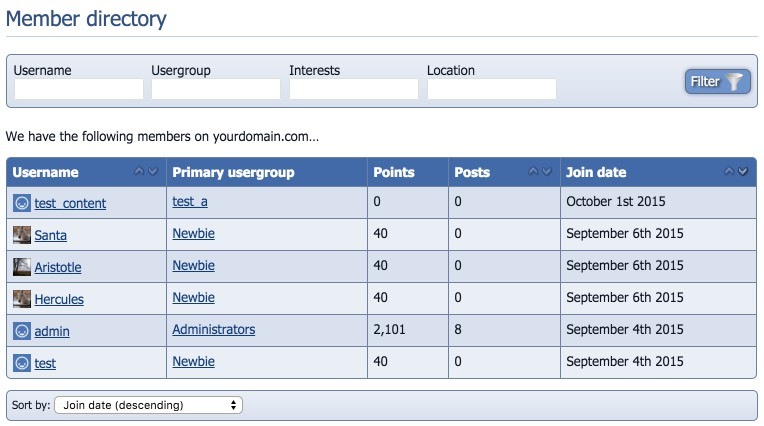 The standard listing utilises a list style with Username, Primary usergroup, Number of posts and Join date, which can be sorted by which ever data type you prefer. You can see an example of this on the right. 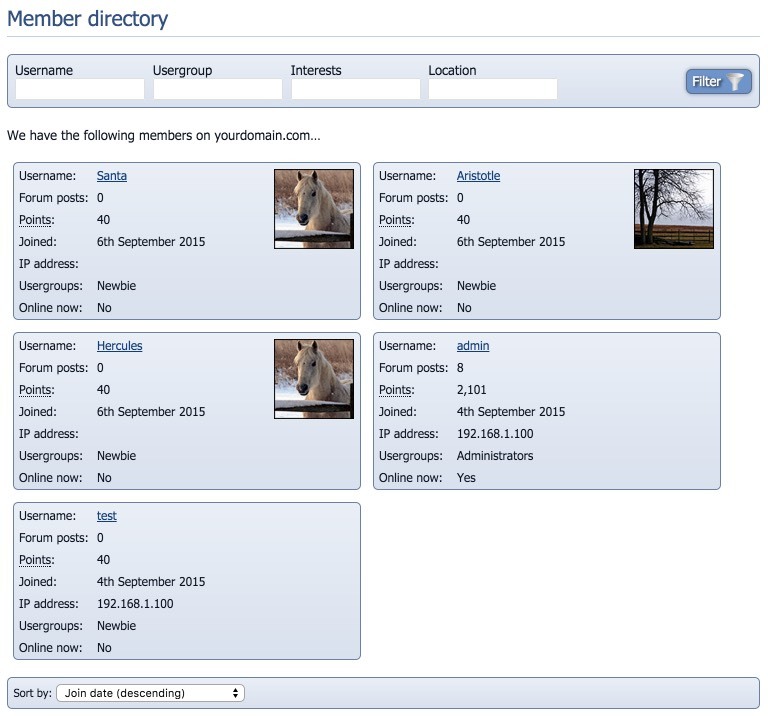 You can edit the CNS_MEMBER_DIRECTORY_SCREEN.tpl template to change the default box style. To do this, go to Admin Zone > Style > Manage themes > Edit templates and select CNS_MEMBER_DIRECTORY_SCREEN.tpl for editing. With more advanced editing you can also show filters. All the normal parameters of the main_members block is supported. Once the addon is installed and you are happy it is working how you would like it to be, you may want to add extra information to the member cards. To change this you will need to edit the templates file which can be found in the templates _custom folder of the default theme or your theme if you've already made changes. The template you will need to edit is CNS_MEMBER_BOX.tpl. However I strongly recommend that unless you have a very good understanding of programming you don't make changes to the templates as changes here could cause serious issues for your website.